All of Marseille with just one pass! Hop-on the red route and explore the city of Marseille! A hop-on hop-off sightseeing tour of Marseille is a great way to get a flavour of this beautiful French city steeped in history. Tour the Vieux-Port and soak up the charm of Marseille life with its many restaurants, fishermen's stalls and daily fish market. Explore the pretty fishing port, Vallon des Auffes and stroll alongside small, brightly colored boats and numerous seashore cabins before wandering through the picturesque narrow streets. This unique, peaceful place sheltered by cliffs has inspired many poets, painters and writers. This pass allows you to get to the best attractions Marseille has to offer, including the striking Notre-Dame de la Garde, situated high on a hill that overlooks the entire city. And be sure you don't miss Chateau d'If, the castle that inspired scenes from Alexandre Dumas's novel The Count of Monte Cristo. 1 day bus pass for Red Route. 14 stops to explore Marseille at your own pace! Wi-Fi available on the Red Route. Multi-lingual recorded commentary available in 8 languages different (French, English, Spanish, Italian, German, Russian, Chinese and Japanese). Hop-on the blue route and explore the coastline! Enjoy amazing views of the coastline from the open top deck of the bus, stop at one of the incredibly beautiful beaches and enjoy a moment of relax sunbathing and swimming. Football fans should not miss the chance to visit one of the best stadiums in Europe, The Velodrome and those that are passionate about horse racing can try their luck at the Hippodrome. 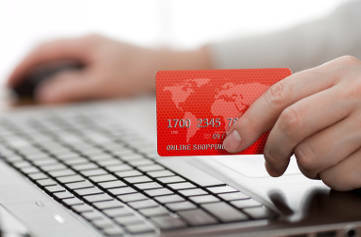 1 day bus pass for Blue Route. 11 stops to explore Marseille at your own pace! Colorbüs offers 2 routes (2 differents circuits) for a duration of 1h15 minutes each. Hop-on, hop-off the red and the blue routes to explore the coastline and all the tourist attractions, including Vieux-Port/Mairie, Place aux Huiles, Fort St Nicolas, Plage des Catalans, Vallon des Auffes, Oriol/Corniche, Notre Dame de la Garde, Abbaye St Victor, Cours d'Estienne d'Orves, Métro Vieux Port, Capitainerie, La Major, Joliette/Les Docks/Terrasse du Port, Mucem/St Jean, Préfecture, Michelet Huveaune, Le Corbusier, Hippodrome Borely, Parc Valmer. Unlimited hop-on hop-off across two sightseeing bus routes. 25 stops to explore Marseille at your own pace with more than 25 attractions to experience along the way. Make the most of your cruise stopover in Marseille. Take the shuttle from the cruise terminal to the tour starting point and climb aboard the open-top, hop-on hop-off sightseeing bus. The shuttle departs from Marseille Port at 09:45 am & 10:30am and drops you off at The Old Port, which is stop #1 of the tour. Hop-on hop-off across the two routes and explore the main sights of the city: The Old Port, Le Palais du Pharo, Le Vallon des Auffes, Notre-Dame de la Garde, Le Panier, Le Mucem,The Velodrome Stadium, La Cité Radieuse, La Corniche, etc. The transfer bus back to the cruise terminal departs from the same point that you were dropped off at and departure times are as follows: 2:30pm and 3:30pm. Cruise Terminal Transfer (return ticket). 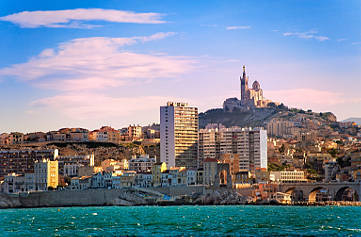 Combine a 2 day hop-on hop-off bus tour of Marseille with an unforgettable Segway guided tour. Hop-on hop-off the bus across two routes, enjoy great views of the city from the open top deck of the bus and discover the main tourist attractions. Then explore the heart of the old town, while driving the Segway, you will be captivated by the narrow streets charged with history. After a 15 min training, you will be ready to join the Segway tour including the Old Port, the famous Place Jules Verne, the Hôtel Dieu, and the charming Panier district. Swing between cobblestones and esplanades, between culture and architecture, past and future. Pleasure and fun guaranteed! After a 15 min training, you will be ready to join the Segway tour including the Old Port, De La Major Cathedral and the Museum, one of the most beautiful museums of Marseille. The tour will then take you from "Modern Marseille" to the authenticity of the old town where you will explore the Panier and the Old Charity Museum. The seaside is a must do in Marseille, the tour will take you to La Corniche and the Vallon des Auffes, a small fishing port hidden under the ring road, a picturesque place in the heart of Marseille. 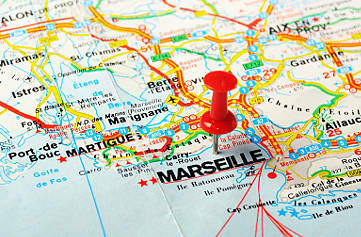 More than 25 attractions across the two routes and 25 stops to explore Marseille at your own pace. 1 or 2 hour Segway tour. 50 Rue du Lacydon, 13002 Marseille. Meet your group 15 minutes before departure of the tour at 50 Rue du Lacydon, located near the Vieux Port. Be on time!